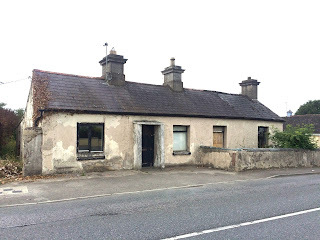 REA Auction is delighted to announce another great result from their latest online auction; this time in Edenderry. The firm were selling REA Hynes who secured a sale on 15 St Bridget’s Street, a 2 bedroom detached house in need of refurbishment. Bidding opened at €18,000 and the reserve was met within 3 minutes when the reserve of €20,000 was achieved. By 5.30, bidding had exceeded €30,000 and by 8.30 the following morning, bidding was at €37,000. The auction was due to close at 12 noon when the property was at €49,000 however as bidding was still going, the action continued until 12.30. The final sale price REA Hynes achieved was €62,000 - an impressive 300% of the reserve for the property. Commenting on the result, Healy Hynes had this to say. “The auctionroom.ie online platform allows buyers to make an offer even when ou office is closed. As a consequence, thy control the house buying experience. The transparency involved also helps buyers make offers with greater confidence that traditional private treaty or auction. We are seeing more and more interest in buying this way and intend to advise more of our clients to use this approach. “This Edenderry house attracted a lot of interest; we had 35 bids in total from first time buyers, retirees and self builders. The result is a strong recognition of the continued upturn of the market as indicated by the latest REA survey.